Wisdom comes with age. And while it’s just a saying old people loves telling the younger ones, it actually has some merit as you learn a lot of things over the years from your own personal experience. After all, experience happens to be the best teacher, right? Since we all know that nobody gets rich by being an employee, you’re all probably wondering what the best business to put up that make lots of money. The answer is simple. Go into the business of eating simply because everyone needs to eat to survive. A food business in the right location is sure to bring in the bucks every single day. Whether you sell groceries or actual cooked food, people will definitely support your business especially if the food is delicious. Restaurants have been sprouting everywhere but not everyone clicks, though. Where have they gone wrong and how they can boost their business in a globally-competitive world of picky eaters are among the typical questions these entrepreneurs ask themselves? Meanwhile, there are other businesses that have made money from food even though it wasn’t the main product they are selling, to begin with. For many, a visit to IKEA is not complete until you’ve eaten a dish of Swedish meatballs. But who would have thought that IKEA would come to consider spinning off a food chain in its own right? One of three customers now visit IKEA just for the food. And for those that actually shop furniture, a full stomach also means a well-filled IKEA bag. “We’ve always called the meatballs ‘the best sofa-seller,’” Gerd Diewald, chied of IKEA US’ food operations, tells Fast Company, who have investigated IKEA Food’s plans for the future. “Because it’s hard to do business with hungry customers,” he goes on. Almost unnoticeably, IKEA’s canteens have become so lucrative that there is now talk of plans to expand with independent restaurants in city centers (beyond the plans already in motion to open more downtown stores), Fast Company writes. Who would’ve though this furniture company will now be able to make a name in the food business? Probably something many of us has not anticipated but they sure got something right and people can’t resist but coming back to their store not only for their fine home decors but for the food too. It’s like hitting two birds with one stone and Ikea still gets to take all your money. The chain restaurant industry hasn’t experienced same-store sales growth in more than a year — and it doesn’t look like things are going to change any time soon. 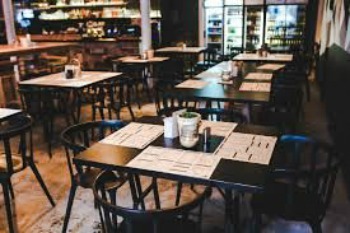 In the first quarter of 2017, same-store sales fell 1.1% across the chain restaurant industry, with same-store traffic dropping 3.4%, according to data from TDn2K’s Restaurant Industry Snapshot. In the last year, the companies operating chains such as Logan‘s Roadhouse and Souplantation have filed for bankruptcy. Bloomberg reported last week that Ignite Restaurant Group — which runs Joe’s Crab Shack and Brick House Tavern — is considering doing the same. The industry’s slumping sales at first seems befuddling. Consumer confidence has generally increased in recent months, which typically means people are willing to spend more. So, why are restaurants struggling to attract customers? While some food businesses are faring well and making so much money, others are experiencing a major slump that hurts business really bad. Most of them are fast food franchises and cafes that are losing customers as the people become more conscious of their health and doing their best in eating right. Numerous food franchise businesses have since been closed over the past few years because there are just too many options for people to eat from that only a few stay loyal to a certain business for long. Intense competition along with the changing preferences of people such as food deliveries are also factors to be considered whether your food business will do good or not in our increasingly unstable global economy. Food chain businesses may be suffering but independent restaurants are doing better in terms of sales than more popular fast food chains. Aside from eating healthy, people aren’t scared of trying novelty food options that aren’t just beautiful to look at and delicious to eat but have a cozy and unique ambiance as well. The popularity of social media drove people crazy, so they now take pictures of their food first and post it on their SNS accounts, so you can expect those unique food destinations are always frequented by people who want to make their photos more gram-worthy whenever possible. To ensure success, what’s important is that your food business should deliver the very essence of their presence in this world, which is providing good food in a good enough place to share with loved ones for you to flourish in the food business for years to come.